ELABORACIÓ: Els raïms madurs seleccionats són transportats al celler per al seu processament. Una extracció suau durant la fermentació permet obtenir un vi equilibrat. El període de fermentació i maceració té lloc en bótes de roure francès de 600 litres de capacitat. Després de la fermentació, el vi reposa en una criança reductiva en dipòsits d’acer inoxidable durant 6 mesos. • SUGGERÈNCIA DE SERVEI: Es recomana servir-lo a 17º C.
WINEMAKING: The selected ripe grapes are transported to the winery for processing. A gentle extraction during fermentation allows to achieve a balanced wine. The period of maceration and fermentation takes place in French oak barrels of 600 liters. After fermentation, the wine rests on a reductive aging in stainless steel tanks for 6 months. 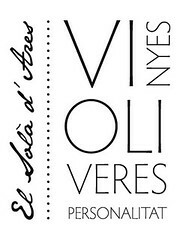 This is a Estate Wine made from our own-vineyard located in El Molar, Priorat.. Old vines seem to have an advantage in their consistent ability to make wines of great structure, concentration and power. 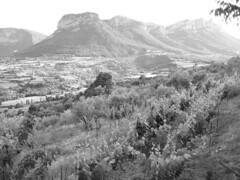 Its extensive root system allows Grenache and Carignan act as a Water Diviner (named as Saurí), exploring the soil and taking more water and minerals, leading to the tasting benefits of a Montsant wine, giving fruity sensations. TASTING NOTE: It has a deep intense purple. The nose of intense fruit in the Saurí it is highlighted by a red / black fruit and it extremely evolves in the glass. With a minty and mineral background. 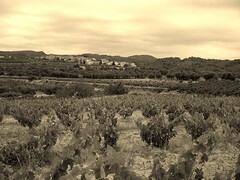 It also emphasizes his warmth nose typical of the south area of montsant. On the palate, the tannins plays an important role as being mature having the acidity well balanced. Notes of plum jam and red fruits intensify on the palate, ripe tannin that beside gives a nice silkiness. The ripening, adding notes of complexity reflects the presence of Grenache, what we define as the pinot noir of the Mediterranean basin. AGEING: reductive aging for 6 months in steel tank, lees ageing. 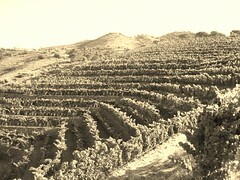 FARMING: Vineyard in organic farming since 2007. SERVING SUGGESTIONS: We recommend serving it at 17 ° C.